b.creative – the global event for creative entrepreneurship – will be held in Shanghai on 15 November 2017 in the context of the High Level People to People Dialogue (HPPD) Summit between the European Union and China. The conference, which will focus on ‘Creative entrepreneurship and urban challenges’, is organised in the scope of the EU co-funded project Creative Tracks supporting young creative entrepreneurs worldwide and encouraging cross-cultural collaborations. The conference will also welcome the awarded team of the b.creative challenge to present the winning project ‘Fieldmakers’ and collect the b.creative award. KEA is partnering with the Central Academy of Fine Arts (CAFA) and the Creative Industries Culture Expertise Centre of KEDGE Business School for the organisation of the event. b.creative is a global event focusing on the transversal nature of the creative sector and its capacity to foster social and economic innovation. The b.creative challenge is an international competition rewarding young creative entrepreneurs putting their ideas at work for social innovation. It is supported by Creatis Brussels, the Cultural Diplomacy Platform, Innovation & Entrepreneurship Competition Space Shenzhen and KEA. 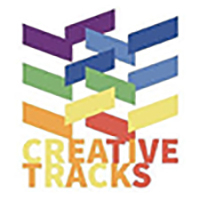 Launched in 2016, Creative Tracks boasts a network of more than 2,200 creative and cultural entrepreneurs, associations or networks supporting culture and creative industries throughout the world. The project is co-funded by the EU and supported by Wallonie Bruxelles International and Shenzhen Design Week. KEA advises territories, organisations and people to unlock the potential of cultural resources. 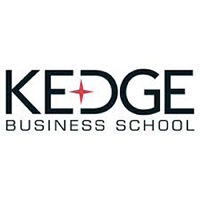 Kedge Business School Creative Industries & Culture Research Centre produces and shares knowledge about the management of creative industries and culture, examining the positioning of actors within society, and also carrying out research on the nature of creative and cultural assets, and the conditions under which they are produced. 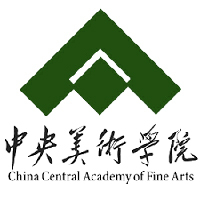 The Central Academy of Fine Arts, located in Beijing, is an academy where culture, history and art are flourishing, which enjoys the best art resources of the world. CAFA, as a leading institution for modern art education in China, provides a rich land for those who wish to learn experience and engage in creativities, which has nurtured quite a lot of pre-eminent artists in the past ninety years.